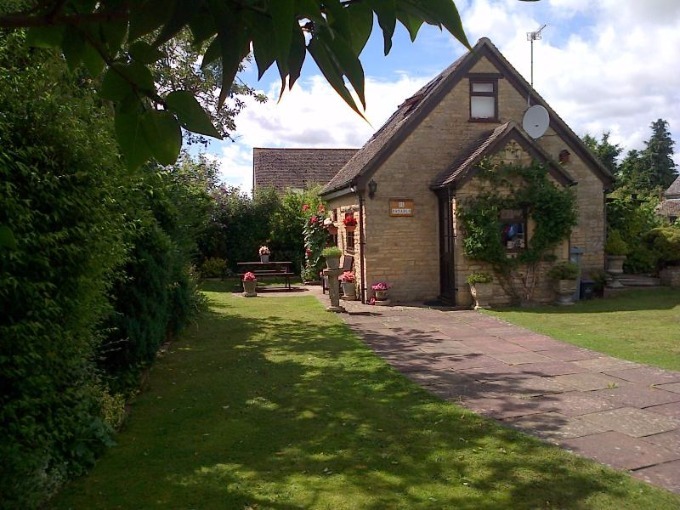 Superbly converted detached Cotswold stone stable with own garden and parking for 2 cars. The cottage has a very cosy living room with smart TV, fibre optic broadband and log effect electric fire. A luxurious double bed settee enables you to sleep 4 people if desired. The fitted kitchen has all modern conveniences, including electric cooker, fridge, microwave and washing machine. An open staircase leads up to the double bedroom, shower room and toilet. All linen is provided including towels, and there is a welcome tray of fresh farm eggs, home-made biscuits and jams on arrival. Excellent location in area of outstanding beauty - and ideal for Cheltenham Week. Weekend breaks also available. Wonderful compact and comfortable cottage, ideally placed for visiting. Recommend visiting Chastleton House (NT), The Tews and Broadway. Welcomed and well fed at the Tite Inn! The steak pie from Slatters Quality foods was excellent. Very comfortable stay. We really appreciated the maps and guide books you provided. Many thanks. Hope to visit you again. Most enjoyable stay, lovely area and so handy to lots of interesting places. Could not fault the cottage, everything you need and so nicely set out. Enjoyed our stay. Lovely cottage and gardens. Thank you for the welcome basket. Good base for touring. Set in a peaceful location in the Evenlode Valley, the village of Chadlington is an ideal location from which to discover the "undiscovered Cotswolds", as well as visiting the more famous picturesque villages of Bibury, Stow on the Wold and Bourton on the Water, for which the Cotswolds is renowned. The market towns of Burford, Witney and Chipping Norton are also close by.� The cottage has an extensive range of books, maps and guides on the area to help you explore! You will find everything you need in Chadlington Village!! About 5 minutes walk away from the cottage, a warm welcome awaits you at The Tite Inn, which is a beautiful 17C pub renowned for its award-winning draught beers, excellent fresh food, sunny gardens and superb views.� Slatters Quality Foods and Butchers (1 min ) is situated at the centre of the village and has a reputation as the place to shop for fresh produce and the taste of home cooking. The village Post Office and newsagent (2 mins) offers a friendly personal service and a wealth of local information, as well as specialising in freshly baked bread! - Fishing in the River Evenlode (1 mile ); obtain licence from Post Office. Carp fishing at Lower Court Farm ( 1 mile ). - The village has numerous official footpaths and bridleways which can be explored using the maps available in the cottage. The Oxfordshire Way is a long distance footpath a short distance south of the village. The former royal hunting ground of Wychwood Forest is only minutes away, and has many walks passing through it. - Blenheim Palace, Rousham House, Ditchley House. Cotswold Wildlife Park, Burford. Cogges Manor Farm Museum, Witney. Cotswold Farm Park, Guiting Power. Broadway Tower Country Park, Broadway. The Oxford Story, Oxford. The Model Village, Bourton on the Water. Burford Garden Centre, Burford. Bibury Trout Farm, Bibury.